Military & Veterans May Recover Damages From Corporation That Sold Defective Earplugs to the Government! Do you have permanent hearing loss, tinnitus or other hearing injuries? You may be entitled to seek damages against 3M and legal representation. OAKLAND, Calif. 3M agreed to pay the U.S. government a $9.1 million settlement in a whistleblower action for selling hundreds of thousands of defective earplugs for more than a decade that were standard issue, Combat Arms Earplugs (CAEv2) to the military. It was only disclosed to the public after 3M agreed to pay this settlement. Gibbs Law Group, Stueve Siegel Hanson and Isaac Wiles have filed lawsuits against 3M on behalf of service members who suffered hearing injuries. The government alleged that 3M knew these earplugs were defective when they were selling them to the government and that they were “too short for proper insertion in users’ ears.” This defect caused these earplugs to dislodge from the users’ ears and many needlessly suffered permanent hearing injuries. U.S. servicemembers and veterans who used 3M Combat Arms Earplugs and suffered hearing loss, tinnitus and/or other injuries should contact the attorneys at: 1-866-211-4118 or go to www.classlawgroup.com/3M. This is a team of three prominent law firms across the nation that includes: Gibbs Law Group, Stueve Siegel Hanson and Isaac Wiles. They have expertise and a track record of successfully litigating class actions, product liability claims and other actions. Their attorneys have extensive experience assisting clients including servicemembers and veterans in recovering monies for personal injuries and other damages caused by defective products. They have a winning track record that has earned them numerous awards for their work, including Best Lawyers in America, Best of the Bar, Leading Plaintiff Lawyers in America, Top Plaintiff Lawyers in California and Consumer Protection MVP. Ms. Gregory is a lifelong advocate for those who serve and is committed to outreach to those who have been harmed by use of these earplugs. She is currently the CEO and founder of VAMBOA, the Veterans and Military Business Owners Association with over 7,000 members nationwide. Ms. Gregory is a producer of the nationally televised concert: “America Salutes You” that raises awareness for military and veterans and funds for some extraordinary non-profits that support them. Ms. Gregory also serves in the Defense Department volunteer role of Director of Employer Engagement for California ESGR (Employer Support of the Guard and Reserve). Ms. Gregory is the daughter of a veteran who served with seven of his brothers and died as a result of injuries from his service to our country. Ms. Gregory’s father has motivated and empowered her to champion service members and veterans. VAMBOA Continues its Proud Sponsorship Role to Benefit Those who Serve and First Responders. The Veterans and Military Business Owners Association, VAMBOA, has continued its proud sponsorship role of the America Salutes You, a nationally televised concert series, “Guitar Legends II”, benefiting those who currently serve in our military, veterans and first responders. The benefit concert played to a full house on Sunday, December 2, 2018 at The Novo, an intimate theater known for its acoustics. The Novo is part of the L.A. Live event space, and was an ideal venue for the show. Performances featured a great and eclectic collection of guitarists covering many different genres with guitar legends including Billy Gibbons, Dave Narvarro, Don Felder, Stephen Stills, Sammy Hagar, Robby Kreiger, just to name a few. Funds raised through donations benefit the great non-profits that support mental wellness and brain health for veterans and first responders. You can show your support by making a donation in any amount on on the America Salutes You website. You may also text a $10 donation, text the word “FREEDOM” to 80077. America Salutes You is a 501c3 organization created to express our national gratitude to our service members, veterans and their families through an annual nationally broadcasted benefit concert that raises funds for a range of highly rated charities. One hundred percent of all money raised are granted to nonprofit organizations with programs that provide services to our troops, veterans and their families. With over 7,200 members and more than a quarter-million fans and followers on social media, the Veterans and Military Business Owners Association (VAMBOA) a 501(c) 6 non-profit trade association, has been serving veteran military entrepreneurs (VMEs) since 2011. Connecting member VMEs with large corporations and government agencies looking to diversify their supply chain is an integral part of VAMBOA’s mission. Additionally, providing members with knowledge of government provisions assists service-disabled veteran business owners, Veteran business owners and military business owners, and drives the success of these VMEs. Membership in VAMBOA is free. VAMBOA is becoming the “Go To” Association for VMEs. I am again honored to be part of “America Salutes You — Guitar Legends II”. This nationally televised concert raises awareness and funds for mental and brain health for military and first responders and will be held this Sunday, December 2nd at The Novo in Los Angeles. The concert will feature some amazing performances by Joe Bonamassa, Stephen Stills, Billy Gibbons, Dave Navarro, Sammy Hagar, Don Felder, Orianthi, Robby Krieger, Vernon Reid, Emily Estefan, Anthony Kearns, and many more! We owe our veterans and first responders a huge debt, and this concert is one way we can begin to repay them for the sacrifices they have made for our freedom and safety. If you are or plan to be in the Los Angeles area, I hope you will attend the concert and show your support. Tickets are reasonably priced and can be purchased via the America Salutes You website. If you are unable to attend, I hope you will support this wonderful non-profit by donating here.Please tell your family, friends and colleagues about this amazing concert and help us spread the word. Information Management Resources, Inc. (IMRI) is an industry-leading provider of cybersecurity, technology, program management and engineering services for government organizations and commercial enterprises. At the helm is Navy veteran, founder, president and CEO Martha Daniel. A fearless entrepreneur with 35 years of technology expertise, Mrs. Daniel has led IMRI in becoming an industry frontrunner, employing more than 155 professionals worldwide and managing over $300 million in data center operations located in 19 U.S. states. IMRI’s cybersecurity division, Cytellix, is one of the fastest growing cybersecurity managed services companies in Orange County, CA. Cytellix provides affordable, turnkey, fully-managed cybersecurity services to the U. S. Government, large enterprises, and commercial companies in financial services, supply chain, legal, and manufacturing. Clients include the U.S. Department of the Navy, U.S. Army, and U.S. Air Force, Wells Fargo, Lockheed Martin, and IBM. Mrs. Daniel also contributes her time and resources to various community organizations including the Rothenbuehler Foundation for Veterans, New Directions for Women, the Child Guidance Center and the Vicksburg Soccer Organization. Want to be a Featured Member in the next Newsletter? Email us at info@vamboa.org and tell us about you and your company. Our friends at Homefront America are once again playing Santa for military families. With your help, the Christmas Toy Store continues to be the shopping destination for parents currently serving in the United States Air Force, Army, Coast Guard, Marines, and Navy. While their children enjoy crafts/activities and caroling, the parents of some 1,000 children can select from a wide selection of premium quality, national name brand toys at no cost. Your donation, in any amount, goes to purchase toys from a network of wholesale partners who provide the goods at below retail. We are keenly aware there are many worthwhile organizations to support, but we hope you will consider supporting this program that serves our youngest heroes. There are a number of veteran business loans available to veterans, service-disabled veterans, National Guard and Reservists, and in many cases, the wives and widows of service members. To be eligible to receive a veteran loan, the veteran must hold at least 51% ownership of the business. To read about some of the programs that offer business loans specifically for veteran-owned businesses, click here to read the blog article in its entirety. American Heroes Network host Gary Ray and his co-host, Lt. Col Bill Forbes, sat down with VAMBOA’s Debbie Gregory to tap into the wealth of resources and information she has acquired over the years. Be sure to visit www.voiceamerica.com/episode/110372/vamboa to hear this great interview! For almost ten years, 1SEO I.T. Support & Digital Marketing has been offering expert I.T. solutions that help both startup and established businesses. These services include disaster recovery, managed I.T. services, network cabling, VPN solutions, and network design. Mark Brower, one of 1SEO’s business development team members and a veteran of the United States Marines, encourages veterans from around the United States to use 1SEO’s I.T. services to drive their business. 1SEO wants to take time to thank veterans for their service and looks forward to helping them achieve success in the next chapter of their lives. For more information, visit them online at 1SEO.com or contact Mark Brower at mbrower@seotech.com. The Secretary of Defense Employer Support Freedom Award is the highest recognition given by the U.S. Government to employers for their support of their employees who serve in the Guard and Reserve. Nominations, which must come from a Guard or Reserve member employed by the organization they are nominating (or from a family member) are now being accepted for the 2019 award. National Guardsmen and Reservists nominated 2,350 employers for the Freedom Award in 2018, but no more than 15 nominees receive the award each year. You can nominate your employer at www.freedomaward.mil through December 31st. We invite our members and sponsors to use the VAMBOA Seal on their websites and company collateral. VAMBOA’s “Vet Owned” seal symbolizes the talent, dedication, leadership and courage of these special Americans who currently serve or have served in our nation’s Armed Forces. If you’re not already a member, we invite you to join! Membership is free for all Veteran Military Entrepreneurs (VMEs). Veterans, VSOs, Veterans Organizations, and veterans advocates may not be aware of a little known compensation available to thousands of veterans. Compensation amounts range from $50,000 – $250,000. Veterans who built and supported nuclear weapons during the Cold War era are entitled to tens of thousands of unclaimed federal dollars. Starting in 1942, the U.S. Government started to build nuclear weapons in over 355 facilities around the country. Unfortunately, thousands of those workers were exposed to harmful radiation. The good news is that, under the Energy Employees Occupational Illness Compensation Program (EEOICPA), veterans or their survivors could qualify for $50,000 to $250,000 in benefits. For more information, click here. Small businesses are the backbone of our economy and responsible for job generation. There are over 2.5 million Veteran Owned Businesses that generate over $1.14 trillion in annual revenues. VAMBOA is your non-profit veteran business trade association that promotes and assists Veteran Business Owners, Service Disabled Veteran Owned Businesses (SDVOB) and Military Business Owners. We know that you possess special skills including leadership abilities and a work ethic second to none. VAMBOA’s “Vet Owned” seal symbolizes the talent, dedication, leadership and courage of these special Americans who currently serve or have served in our nation’s Armed Forces. 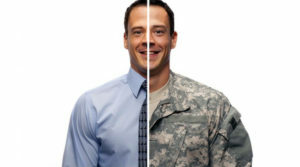 Membership is free for all Veteran Military Entrepreneurs (VMEs). We invite veteran and military entrepreneurs to join VAMBOA. Here is a link: https://vamboa.org/member-registration/. We are happy to send our seal to members to use on their websites and collateral. Our focus is connecting Veteran and Military Business Owners with corporations that seek and value a diverse network of suppliers. VAMBOA has a database of close to 15,000 certified and verified Veteran Owned Businesses. Please contact us to learn about corporate sponsorship opportunities at dgregory@vamboa.org . In the 2 1/2 years that A I R E by Veterans has been in business, the team, headed up by a disabled Air Force veteran, has continued to provide the highest level of commercial and residential air duct and dryer vent cleaning, delivered with top-notch customer service. A I R E by Veterans doesn’t just walk the walk… not only are all of A I R E’s technicians highly skilled and trained to the highest standards of their industry, they are all U.S. military veterans. A I R E has also made it part of its mission to train younger veterans how to start and run a business. Since this company is always looking for ways to give back to the veteran community, a portion of A I R E by Veterans revenue is donated to the Southern California and Phoenix area Disabled American Veterans (DAV). 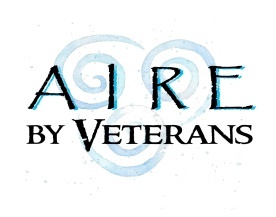 We salute the team from A I R E by Veterans, our Featured Member. IBM’s commitment to diverse suppliers is demonstrated by its rich corporate history. Founded in 1968 as IBM’s Minority Supplier Development Program, IBM has placed billions of dollars of business with its diverse suppliers over the last four decades. By 2000, IBM became the first information technology company to purchase more than $1 billion with first tier diverse businesses and proudly joined the ranks of Minority Business News USA’s “Billion Dollar Roundtable.” IBM has spent in excess of $1 billion annually in the US since that timeframe and $2 billion, 1st tier, worldwide since 2006. This year, IBM celebrates the 50th anniversary of its Supplier Diversity Program. Do you want to learn more about engaging with IBM? Reach out to Mary Hellem (mmhellem@us.ibm.com), share your company capability information and learn how you can team with IBM for subcontracting opportunities. Accounting tips for small business owners: Starting your own business is often a learn-as-you-go process. But the more smart decisions you make early on, the better chance your company has for success. As a new small business owner, it is imperative that you establish practices, policies, and good habits early on. Read the full article on the Blog. 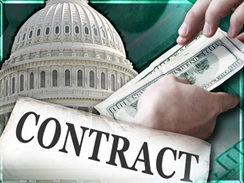 Check out some of the contracts that have been recently awarded by the Army, Navy, Air Force, Defense Logistics Agency and the Defense Information Systems Agency here. Complimentary online subscriptions for U.S. Veterans Magazine are available to VAMBOA members. U.S. Veterans Magazine is a valuable resource for all who have served, but especially for transitioning entrepreneurs, service-disabled veteran business owners, veteran business owners and their spouses and families. The U.S. Small Business Administration is now accepting nominations for its 2019 National Small Business Week Awards, including the annual Small Business Person of the Year. Since 1963, National Small Business Week has recognized the outstanding achievements of America’s small businesses for their contributions to their local communities, and to our nation’s economy. Visit www.sba.gov/nsbw to download forms, criteria and guidelines for submitting a nomination. Stanford Ignite Post-9/11 Veterans is tailored to recent U.S. veterans who want to bolster their know-how about innovation and entrepreneurship. Unique components to this program include career advising, visits to local Bay Area companies, and sessions with hiring managers. Stanford GSB alumni veterans will be actively engaged as mentors, guest speakers, and panelists evaluating student presentations. Business concepts learned in the classroom span core business skills and functional skills, and are reinforced through practical application with team venture projects, where participants work in teams of five or six to develop a new product or service for an existing organization or a new venture.The program culminates in final team presentations to a panel of venture capitalists, angel investors, industry experts, and experienced entrepreneurs. *If you have an MBA, graduate degree in management, and/or extensive managerial training, you are not eligible to apply.